If you've been to university or undertaken some tertiary studies, you'll know that semester breaks can be generous, particularly over Summer. If you're the wayfaring type, there's only one way to spend these extended breaks or a 'gap' year before joining the rat race—and that’s on the road. With all that time on their hands, students have always been good travellers. Journeys taken by students these days might not be the contemporary equivalent of the 'Grand Tours' undertaken by young aristocrats of the 17th- and 18th-centuries, but student travel is big business. And while they're not the biggest-spenders, it's not just budget backpacking that's taking them abroad. Skift’s 'The State of Student Travel' report (2014) report says, "The student traveller represents fully one-fifth of all international arrivals in the travel industry, today. They command a market value of some $320 billion and they are willing to spend to create experiences that go far beyond the backpack-and-party crowd that some would assert to have once characterised educational journeys abroad." Results from another global study of youth and student travellers, New Horizons IV (2018), also clearly indicated that they're happy to splurge on experiential purchases. Interestingly, the study found that traditional travel luxuries, like airfare upgrades, were the purchases favoured least. 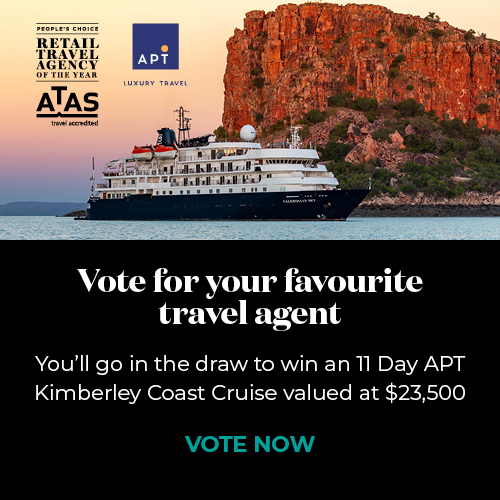 Those results wouldn't have surprised Lisa Pagotto, founder of ATAS-accredited, boutique, small group tour operator, Crooked Compass. "Our tours are about culturally immersive experiences in out-of-the-way places that support local communities. Our travellers see places through the eyes of a local, uncovering the side of a destination they didn’t know existed," says Lisa. Image: Lisa Pagotto from ATAS-accredited Crooked Compass. "Connecting with those communities and experiences in a responsible way, and getting our clients to remote places isn't, however, a low-cost exercise. And yet, bookings coming to us from ATAS accredited student-specialist travel agents are growing. It's clear that 'authenticity' is the new 'luxury' for many travellers, including the 'student' set, and they're prepared to pay for it." Like any segment of the community, however, they're a diverse bunch, the students. And, if anyone has a good handle on where they're travelling, it's the ATAS-accredited agents who consult to them. We asked a couple of on-campus travel specialists just where their customers are travelling, and it seems Europe is still a huge attraction. Image: Paris. Always a good idea. "Whether it’s a two-week Contiki trip, or three-month grand tour by rail, this continent is still top of the list for uni breaks," says Brooke Kowald from ATAS-accredited STA Travel Adelaide University. "The allure gets stronger every year as airlines compete more fiercely, making prices cheaper than we have ever seen. Return flights to Europe for $1000 are now easy pickings for uni students on a budget," adds Brooke. Georgia Blackhurst from STA Travel Monash University agrees with the Europe still-so-hot-right-now insight. "It's the perfect way to swap a Melbourne winter for fascinating culture, history and incredible beaches," says' Georgia. "Europe is so easy whether you're travelling independent travel, group guided tours or a mix of both. My colleagues and I know Europe well. We've explored it in different ways, and just love it. Our advice comes from experience. Europe is a destination for every sort of traveller," she adds. "I love sending people to Europe because every holiday there is different. One student might do a highlights tour—a different country every night. Whereas others want that feeling of getting lost in tiny villages. We can make all of those things happen. Europe really is a diverse and versatile destination!," says Brooke. Book with ATAS-accredited travel agents like Georgia and Brooke, and not only will they have the advice, deals and insights to plan your perfect trip, they'll also be with you every step of the way as you travel. Now, if you're thinking 'Are student and Millennials really still using travel agents? ', three recent studies all indicated that they're the fastest growing market for travel agents. The 2017 Portrait of American Travelers, for example, found that 33 percent of Millennials plan to utilise a professional consultant over the next two years – that’s twice as many as those in Gen X and the Baby Boomer generation. Domestically, it seems that student travellers are seeking urban and remote experiences. For Brooke, Sydney and Queensland's islands are drawcards. Image: Whitehaven Beach, Whitsundays Islands. Credit: Tourism Whitsundays. "The most popular destinations that we book for our students are Sydney and The Whitsundays. People love Sydney for the big city atmosphere and iconic scenes, whereas The Whitsundays are equally loved for the Great Barrier reef and picturesque beaches that Australia is known for. I could spend a lifetime exploring the beaches and reefs there!," says Brooke. Image: Kayaking near Luncheon Bay, Hook Island. Credit: Tourism Whitsundays. For Georgia, too, the Great Barrier Reef provides another escape from Melbourne's deep winter freeze. "With its warmer climate, sunny skies and beautiful beaches, Cairns is at its best in winter. It's the gateway to the amazing Great Barrier Reef, brims with adventurous activities, fun night life and great food. We have so many ingredients with which to tailor-make the perfect trip for each customer," she says. Image: Marina, Cairns. Credit: Tourism and Events Queensland. Your ATAS travel agent can help ensure you are set prior to heading off on your mid-semester break or gap year, but here are a few travel warnings and useful tips to keep in mind. Learn about them here. Looking for more insights from ATAS-accredited travel agents? Uncover top student travel tips from an expert, hot air ballooning hot spots, and where in the world you'll find the world's best airports.